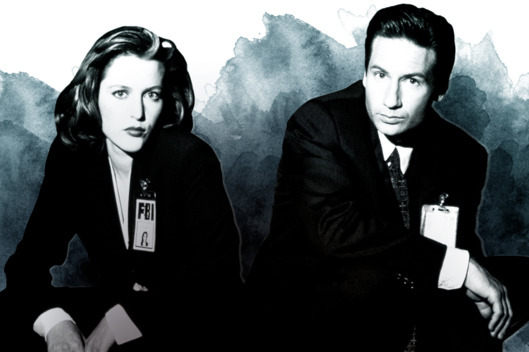 FBI Agents Scully and Mulder of the iconic conspiracy TV show. The 14-year-old daughter and 11-year-old son are now both heavily into "The X Files," a show that owes a serious debt to Black Ops of the Vietnam Era as well as general Soviet mythology. I'm thrilled this show can relate to a generation that has only known the internet and "democratic" Russia. The daughter views Agent Scully as a serious, rational, strong role model, well versed in scientific inquiry. Agent Mulder fairs less well in her eyes, being dismissive of Scully's ideas and often overbearing. The daughter's goal is to view all seasons in order to gain a comprehensive understanding of the show. She has already achieved the title "serious amateur", and depending on her eventual dissertation, she may well earn the distinction of "X File academic." Part of the fun of the show is that many episodes are set in the soggy Northwest. One segment even dealing with the animosity between loggers and environmentalists in Washington State. The resolution of this episode was that prehistoric vociferous insects ate both groups, having no taste for FBI agents. I, too, have been sucked back into an episode or two. Despite the dated eyewear, the show has stood the test of time.